A Little bit of Lorene: Stash Report Time! Hi Everyone! I missed my stash report last week. sorry about that. so here you go!!! New projects started: 1 new project. a wool table mat for the upcoming bloghop - say it with flowers. just need to do the binding! 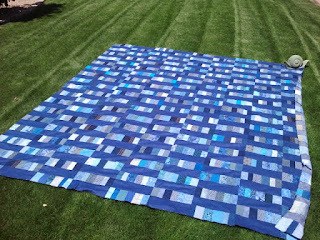 Transition quilt: started with Vicki. 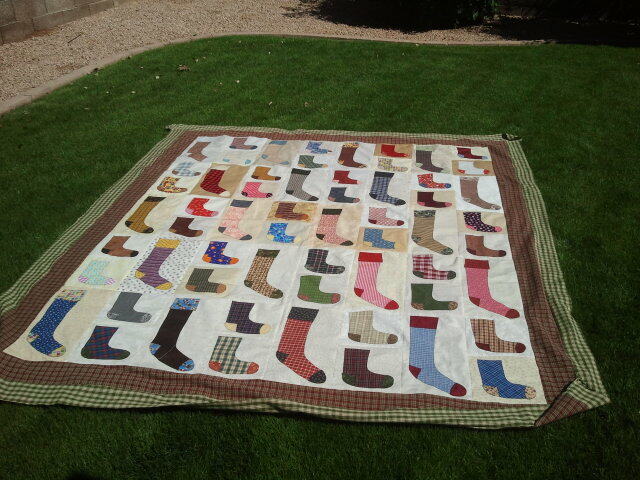 quilt is quilted, binding is on, just doing the hand part now. these are the two tops I finished this week. Both are projects with Vicki. The socks one I also exchanged blocks with Thornberries. Sooooo many socks! 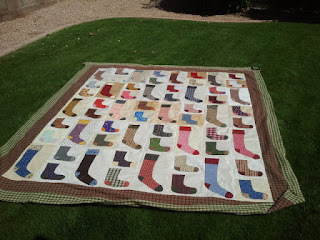 The goal for Vicki and I is to have the sock quilted and ready to bind by the time we get together again - sometime this summer. This week will be good in the finished UFO pile. I just finished binding 5 little table toppers. just need to add some buttons. 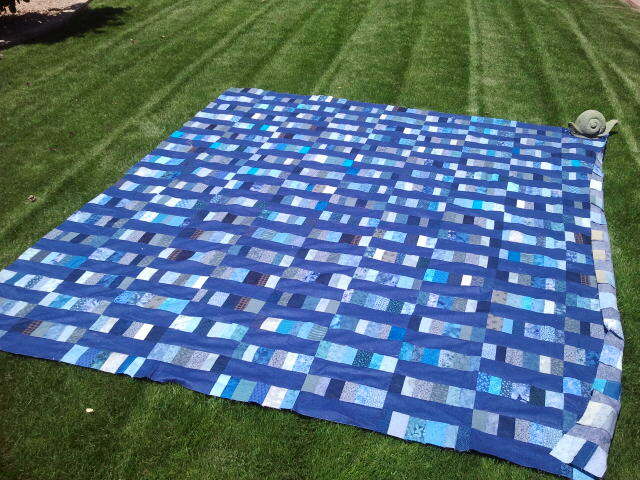 I also have 2 quilts to bind and a wool table topper to bind. looking good!! !